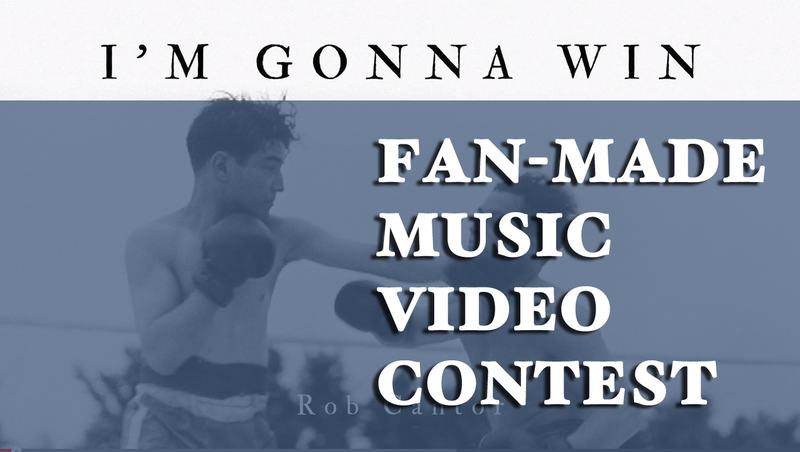 Moments after I announced the big contest for fans to create a music video for the song “I’m Gonna Win” from Rob Cantor’s debut solo album, Not A Trampoline, Rob demanded I do an interview with him in order to communicate his thoughts on the recent success of his viral video “29 Celebrity Impressions, 1 Original Song“. Not really. He’s been sitting on these questions for a few weeks now. But that’s besides the point. The point is, I wanted to get his thoughts on said success, the album itself, and allow fans of Rob (and Tally Hall in general) to ask some of their burning questions. Below is the result. When did you start thinking about doing an album? When did you start writing for it? I never really stopped writing — I just wasn’t quite sure what to do with the songs. Tally Hall wasn’t planning for a new album, and so demos began to amass on my hard drive. I played a few tracks for my friend and producer Greg Jenkins (AKA Gregtronic), and he liked them. We recorded “All I Need Is You” first, with the idea of making a four-track EP, but we were enjoying ourselves. Four tracks turned to eight tracks, which eventually just turned into the album. Was it always going to be called Not A Trampoline? Did you have other titles in mind? The title came last, actually. I have a file on my computer with a bunch of ideas for album titles, but none ever felt quite right. Then, the weekend after we finished working on the record, Greg and I took a road trip with some friends. Along the way, we happened upon some strange signage; it just seemed to fit somehow. Alan Alda’s best work other than M*A*S*H*? Aside from portraying Arnold Vinick on The West Wing, his best work was agreeing to let me use that photoshopped image of us in my album artwork. Rest in peace, big guy. (From @joshfaceUK) Were there any songs scrapped from Trampoline, if so, what & why? Yes, there was one song scrapped from Not A Trampoline. It was a cool-sounding dance track, but it didn’t mesh with the others. It may wriggle out into the world one day, and, if so, I’ll be sure to let you know about it. In an interview with MTV, you mentioned that doing a tour was not previously in the cards but maybe is now. Has there been more discussion about that and how likely is it at this point? What would you say to Justin Bieber if you had the chance? WHERE ARE MY ORANGES, YOU MUSSEL LOVER?! (From Paul Henrixson) Who is your favorite musician and why is it Zubin? The attention gained from the video has, more-so than anything else, brought a lot of Tally Hall fans out from the woodwork hoping for more Tally Hall music. Has it had the same effect internally among the band members? I hope another Tally Hall record is possible, but nothing is currently underway. Sorry to be so cagey. 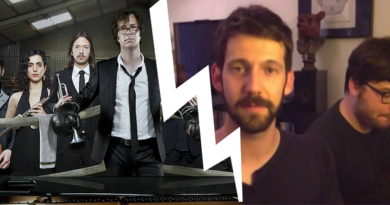 And, in somewhat of a follow-up question, do you think Tally Hall’s previous efforts in video would have fared better if released in the current social media age? I like to think so. Joe’s video for Banana Man went viral in a pre-YouTube era, which is pretty amazing when you think about it. How many media requests did you have to turn down while you were holding your Perfect secret? Lots. I was approached by some big shows to perform the song (with impressions) live on camera. Of course, in reality I am completely unable to do so. I toyed with the idea of unveiling the truth by agreeing to appear on the Ellen show, then failing miserably at all of the impressions. I decided in favor of the “Making Of” video, but it was fun to imagine the hilarious trainwreck that could have been. (From @SchroederFTW) Any updates on Mr. President, There’s An Asteroid Headed Directly For The Earth!!? My friend Ricky and I wrote the first act in hopes of finding funding to shoot it. We got some interest, had some meetings, but, to date, no solid offers. The problem, I think, is that it’s a big, expensive production with no real means of making back the budget. 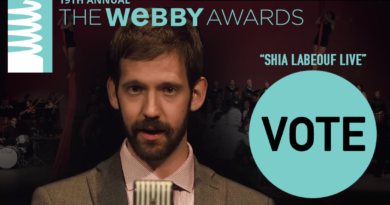 It’s an idealistic artform, I suppose — a musical designed to be free online. Maybe someday! What would you say to Regis Philbin if you had the chance? WHERE DID JUSTIN BIEBER PUT MY ORANGES, AND WHY IS HE SO CRAZY ABOUT MUSSELS?!? What’s the biggest lesson you’ve learned from this whole “Perfect” music video debacle? The internet is very powerful. In related news, be on the lookout for a new (actual) music video from Rob in the very near future. And in case you missed it, you can win some autographed Tally Hall memorabilia by making another music video for him. And yes, he’s totally OK with the idea and looks forward to seeing what you guys come up with.